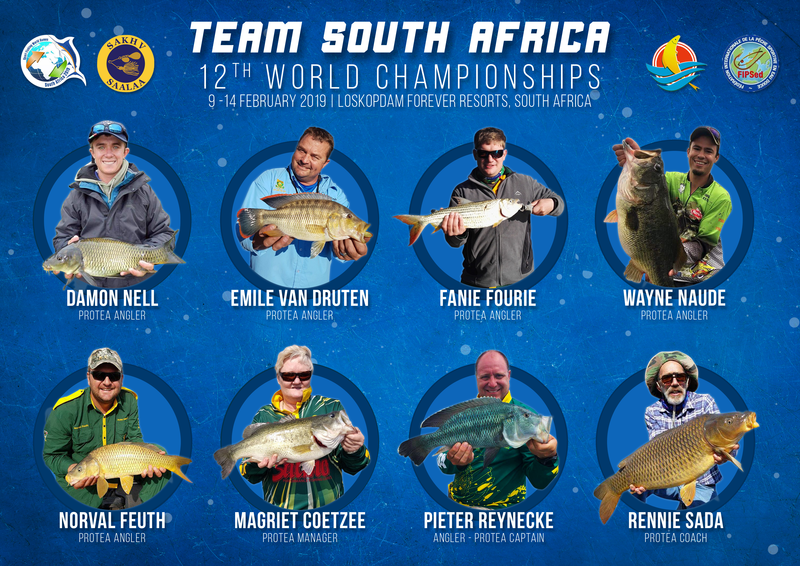 The competition will take place at Loskop Dam, Forever Resort near Groblersdal, in the Mpumalanga Province. The competition venue will be the Loskop Dam. It can easily be reached by tar roads from the main road. 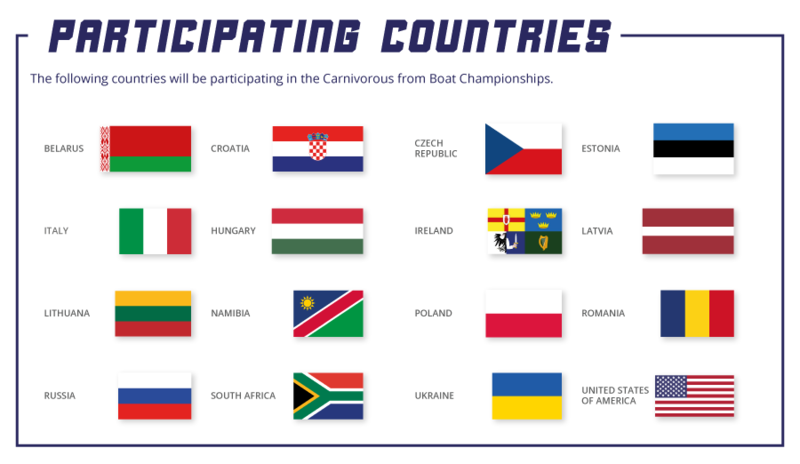 The competition venue is approximately 12 285 Square km (2 427 Hectares) water surface and is bordered by natural vegetation. Depth ranges is up to 15 meters. At 100% the dam holds 348 million cubic litres of water. Loskopdam lies on the banks of the Olifants River, 48 km north of Middelburg, 230 km east of Johannesburg. This family friendly favourite is surrounded by the Waterberg Mountain Range and Loskopdam Nature Reserve which is home to Antelope, Leopard, Crocodile and Hippo. (the length shall be measured directly under the FIPSED rules). No other fish shall qualify. No fish caught that measures less than the specified length shall qualify. Once measured, all fish caught shall be released back into its habitat, as undamaged as possible. 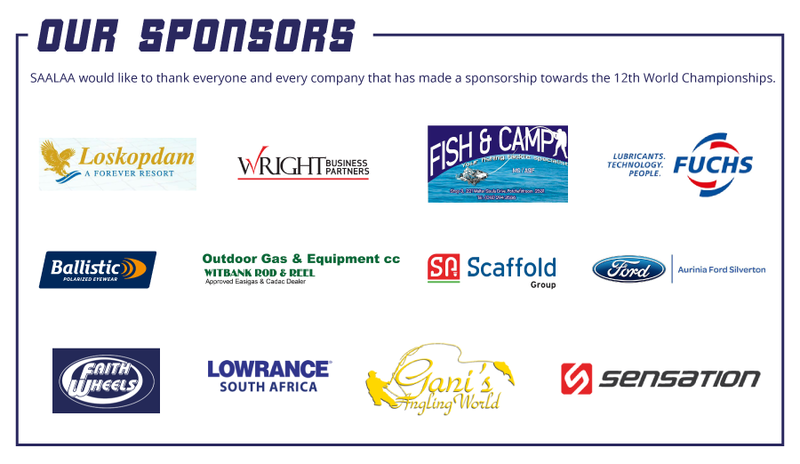 The Organizing Committee shall receive the registration form completely filled in on the website www.fishingworldgames2019.co.za together with the proof of payment of the registration fee via bank transfer by the deadline of 31st December 2018, to the account held in the name of SASACC World Games 2019. All the other information on the event will be provided on the official website of the World Games. For detailed info, please click on the link below to download the Predator From Boat Fishing Program. South Africa will be sending a stellar team to represent the country.